for the most fabulous weekend breakfast! I'm beginning to think I should turn this blog into a breakfast blog. I mean, my obsession with breakfast is off the hook right now! Don't you agree? I hope you are cool with this, because I really love creating new breakfast recipes and sharing them with you. And I promise, I'll blog about other stuff too. Like desserts. And quick weeknight meals. But I've got to keep doing this breakfast thing, too. Do we have a deal? For now, let's talk about these Cherry Filled Crepes. Probably one of my favorite weekend breakfasts right now. 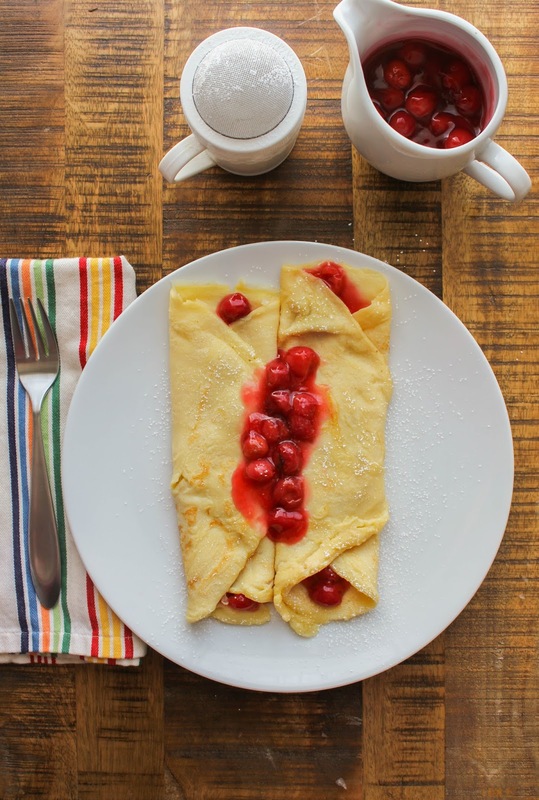 Who can go wrong with thin, delicious crepes and a luscious homemade cherry sauce? It's seriously the bomb. My kids agree too! Several years ago I was traveling for work and ordered crepes from the hotel restaurant. They were filled with bananas and nutella and they were probably the most amazing thing I had ever eaten at that time. Shortly after that I vowed to recreate those crepes at home, and so I did! I've made the banana and nutella version quite a bit, but this time I decided to splurge and make my own homemade cherry sauce. Because, well, cherries are amazing! One of the great things about this recipe is that it's made with lactose free milk for those who are lactose intolerant! For those with lactose intolerance, it doesn’t have to mean that dairy is off the table. 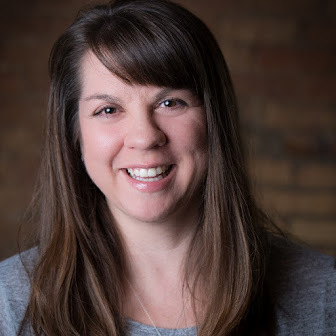 Check out this great article from Milk Means More to discover which dairy foods are more lactose intolerance-friendly, and find ways to keep dairy and its essential nutrients in your diet. 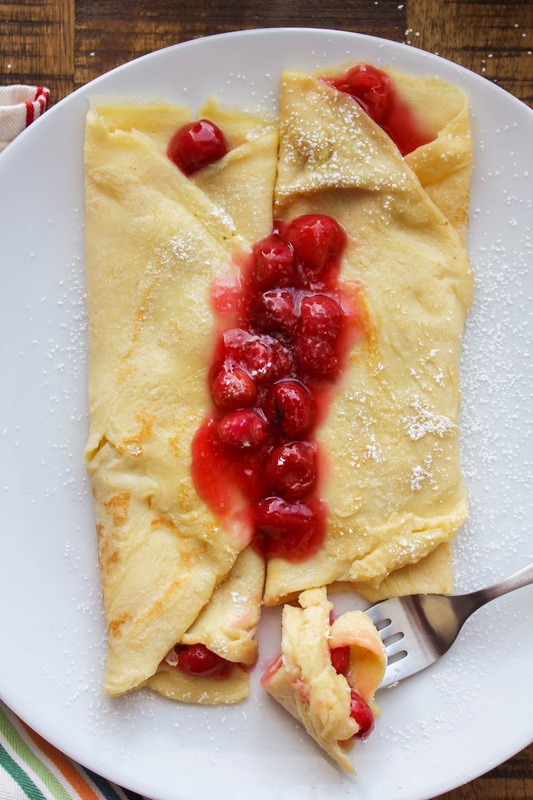 These crepes are the perfect breakfast to wake up to on a Sunday morning. Thankfully they are easy to make and you won't spend a lot of time in the kitchen! Now, who's ready to make a fabulous breakfast? First make the cherry sauce. Bring the cherries, sugar, and 1/2 cup water to a boil in a medium saucepan over medium heat. Whisk the remaining 1/4 cup of water and cornstarch and a small bowl until smooth and add to the boiling cherries. Return the mixture to a boil, stirring often, and cook until thickened. Remove from the heat and keep warm. To make the crepes, add all of the ingredients to a blender and puree until the mixture is smooth. Let the batter rest for 10 minutes at room temperature. Heat a crepe pan or 12-inch nonstick skillet over medium heat and lightly coat with butter. Using a 1/3 cup measure, add batter to the pan and quickly swirl it around to completely cover the bottom of the pan evenly. Cook until the underside of the crepe is golden brown, about 3 minutes. 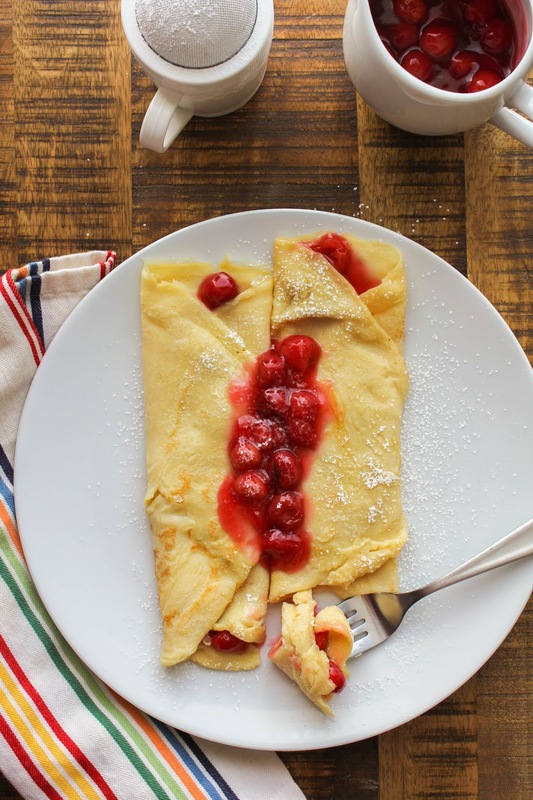 Loosen an edge of the crepe with a rubber spatula, then using the spatula and your fingertips, quickly flip. Cook another minute more. Slide the crepe out of the pan and repeat with the remaining batter, coating the pan with more butter as needed. To serve, lay two crepes open on a plate. 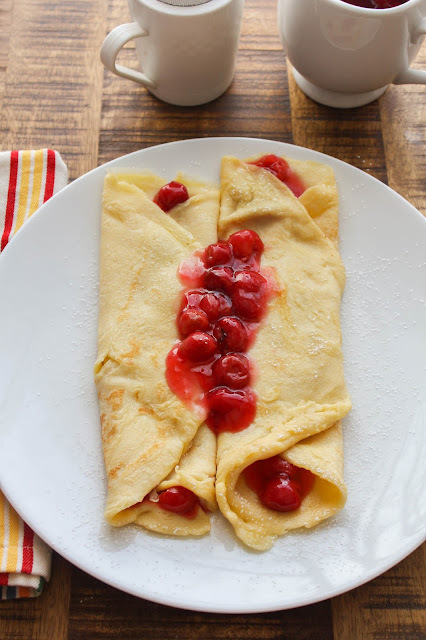 Spoon a couple of tablespoons of the cherry sauce into the center of each crepe. Fold over each side to close the crepes. Add a little more cherry sauce to the top, then sprinkle with powdered sugar. I'm honored to be a Milk Means More Ambassador and I thank them for sponsoring this post! 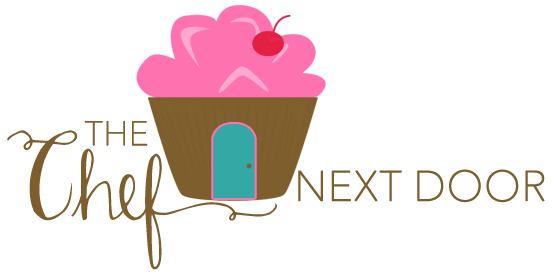 I was compensated for developing a Lactose-free recipe in honor of Lactose Intolerance Month. All opinions, as always, are my own.